But even though Democratic turnout will likely be much higher than it was in 2014, Republicans may not lose ground. After all, the House GOP has more money and organizational prowess than the Democratic superminority. And Republicans have shown that they could withstand bad election cycles. When Barack Obama came within a handful of votes of winning Missouri in 2008, the House GOP only lost a few seats. The party actually gained seats in 2012 – a year in which Todd Akin’s disastrous Senate campaign wrecked numerous Republican campaigns. While Trump has been faring poorly in traditionally Republican states like Georgia, Arizona and Utah, there’s not much evidence yet that he’s slated to do badly in Missouri. That’s one of the reasons Richardson believes the “environment’s going to be good here in Missouri overall.” And if the environment is good enough, then it's not out of the question that the GOP could increase their already big majority with pick ups in St. Louis County and Springfield. Perhaps unsurprisingly, House Democrats have a different take on how this year’s election cycle will transpire. State Rep. Jeremy LaFaver, D-Kansas City, raises his hand to speak before the House of Representatives adjourned. Missouri House Democrats have lost ground in the past three election cycles. 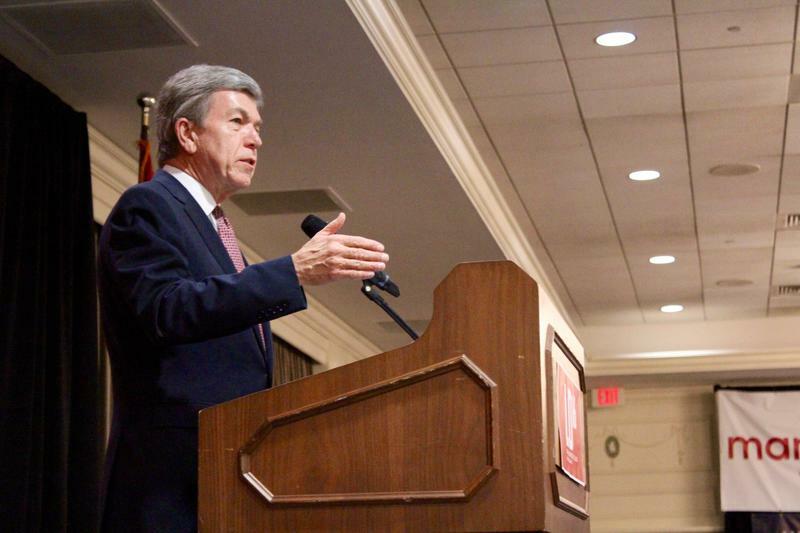 But they're hoping to win districts in suburban St. Louis and Kansas City — as well as mid-Missouri and Springfield. State Rep. Gina Mitten says that even if Trump wins the state, he may not be that popular in competitive House districts. “When you have someone like Donald Trump and members of the Republican Party that are not denouncing him, that creates a problem,” said Mitten, D-Richmond Heights. “It’s hard to get voters excited about a race when their top of the ticket is as extreme as they possibly come – and as unpredictable as they possible come. And so who else are they going to get excited about? “On the flip side, in the seats that we’re actually doing well in, we have folks who are actually interested in what’s going on down-ballot,” she said. Because so many Republicans are running unopposed or in strongly GOP districts, there’s basically no chance for Democrats to take back the majority this cycle. 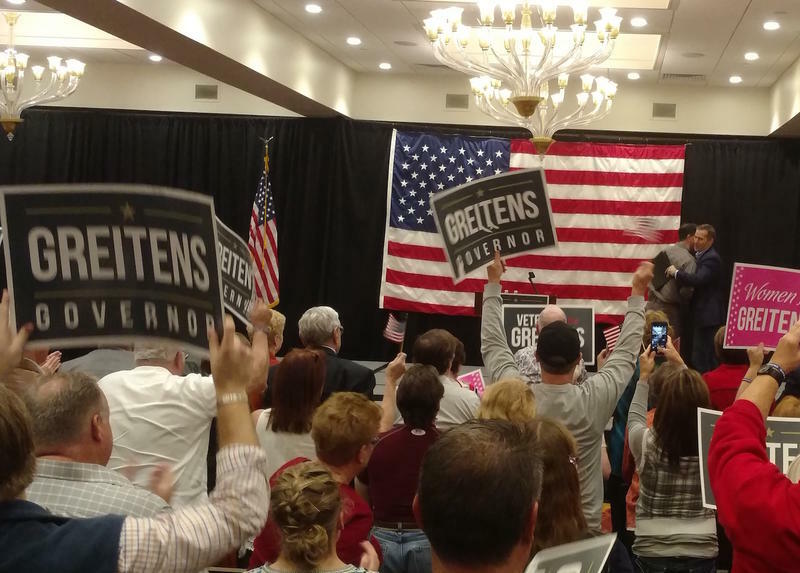 But Mitten says there are enough strong candidates running across the state to at least chip away at the GOP supermajority. Members of the Missouri House of Representatives throw their papers in the air to mark the end of the 2016 legislative session on in Jefferson City. 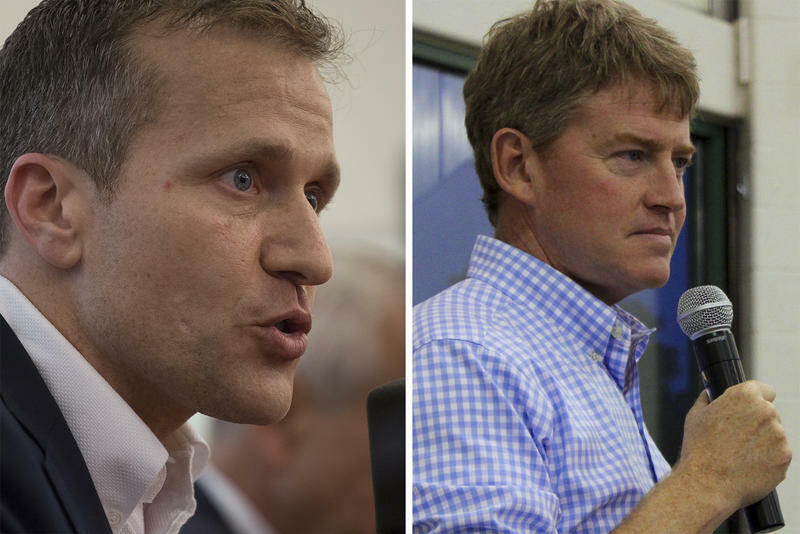 Contests for the Missouri House are historically difficult to predict. Since districts contain relatively small numbers of voters compared to state Senate or U.S. House districts, voter behavior can fluctuate unpredictably. With that caveat, both parties are paying close attention to House races in suburban Kansas City (such as state Rep. Kevin Corlew, R-Kansas City versus Democrat Martin Rucker II), mid-Missouri (state Rep. Chuck Bayse, R-Rocheport, versus Democrat Susan McClintic) and Springfield (Democrat Crystal Quade versus Republican Thomas Quinn for a vacant seat previously held by a Democrat). House District 94 in south St. Louis County: Republican state Rep. Cloria Brown and Democrat Vicki Englund have run against each other for the past five election cycles. Both south St. Louis County residents have won twice: Englund won in presidential years, while Brown prevailed in mid-term elections. This is one race where the outcome could hinge on how well Trump or Democratic presidential hopeful Hillary Clinton do in south St. Louis County. And it’s also possible that “right to work” could be a factor in how voters act. House District 90 in Kirkwood: After several unsuccessful bids, state Rep. Deb Lavender, D-Kirkwood, was one of the few bright spots for Democrats in an otherwise dismal 2014 election cycle. She faces a strong challenge from Republican attorney Mark Milton, who unlike her 2014 opponent (former Kirkwood City Councilwoman Gina Jaksetic) doesn’t posses an exploitable voting record. This is another race where the result of the presidential contest could affect the outcome. House District 70 in north St. Louis County and St. Charles County: With state Rep. Bill Otto, D-Maryland Heights leaving the house to run for Congress, Democrat Byron DeLear and Republican Mark Matthiesen are duking it out in the highly competitive seat. Both candidates have expressed support for placing the Army Corps of Engineers in charge of the West Lake Landfill. But the two contenders differ on “right to work:” Matthiesen is a supporter, while DeLear is an opponent. House District 91 in St. Louis and St. Louis County: As state Rep. Jeanie Kirkton, D-Webster Groves, leaves the House due to term limits, two attorneys – Democrat Sarah Unsicker and Republican Greg Mueller – are running for the open seat. While Republicans have represented Webster Groves-based House districts in the past, the city has become more and more Democratic in recent years. Mitten says this is a district where Trump may not be particularly popular. House District 65 in St. Charles County: While St. Charles is Republican-leaning, several districts have been reasonably competitive over the years. And with state Rep. Anne Zerr, R-St. Charles, vacating her seat due to term limits, Democrats are banking on former state Rep. Kenny Biermann, D-St. Charles, to outflank Republican magazine publisher Tom Hannegan. Hannegan, though, has been able to raise and spend substantially more money than Biermann. And Hannegan also received the backing of Zerr, who lost a close Republican primary for the state Senate earlier this year. House District 106 in St. Charles County: Supporters of former Democratic presidential candidate Bernie Sanders won a huge victory in the 76th District this fall. Now St. Louis-based Sanders fans (who founded a group called Mobilize Missouri) are looking to St. Charles (a place Sanders won in the Democratic primary) to help Democrat Michael Dorwart beat incumbent state Rep. Chrissy Sommer, R-St. Charles County. It won’t be easy to defeat Sommer, who has a substantial financial advantage and backing from organized labor groups who likely appreciate her opposition to right to work. But a Dorwart win could prove that Sanders supporters can win in Republican-held districts. House Districts 111, 112 and 113 in Jefferson County: Eight years ago, Democratic incumbents from Jefferson County held a party in their Capitol offices to celebrate their lack of Republican opposition. But Democratic fortunes soured dramatically in subsequent election cycles. And now, Republicans hold all but one seat in traditionally Democratic Jefferson County. Democrats are hoping for better days in “JeffCo.” They’re somewhat bullish on Democrats Del Viehland, Robert Butler and Karen Settlemoir-Berg defeating state Reps. Shane Roden, R-Cedar Hill, Dan Shaul, R-Imperial, and Rob Vescovo, R-Arnold, respectively. Both Vescovo and Shaul voted for “right to work,” which could be treacherous in a county where organized labor still holds clout. 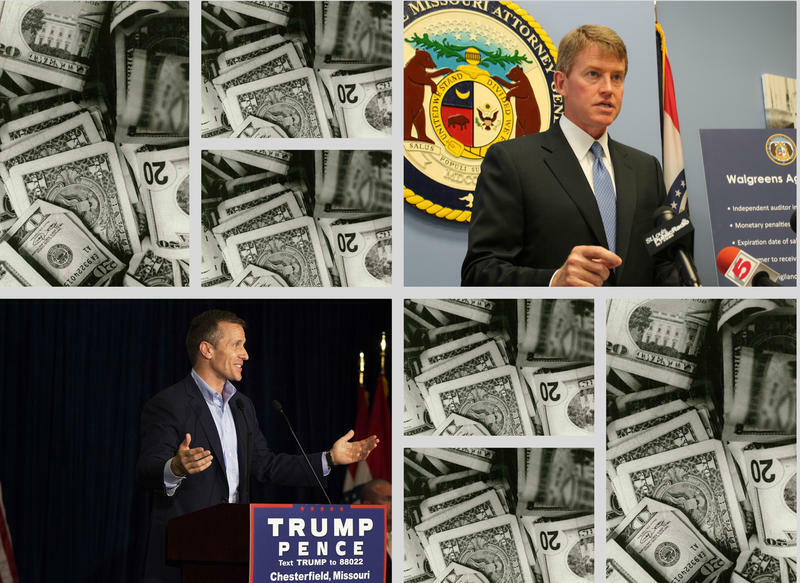 But if Trump does as well in Jefferson County as Missouri Republicans expect, that could benefit GOP incumbents.